It’s been a very busy 2011 thus far and its still ramping up. So far, I’m humbled by the amount of progress I’ve made and paths I’ve crossed with so many amazing people as I continue this journey of purpose. Unfortunately, during this time I’ve also found myself tardy in keeping up with my posts here in the World of Naperville. 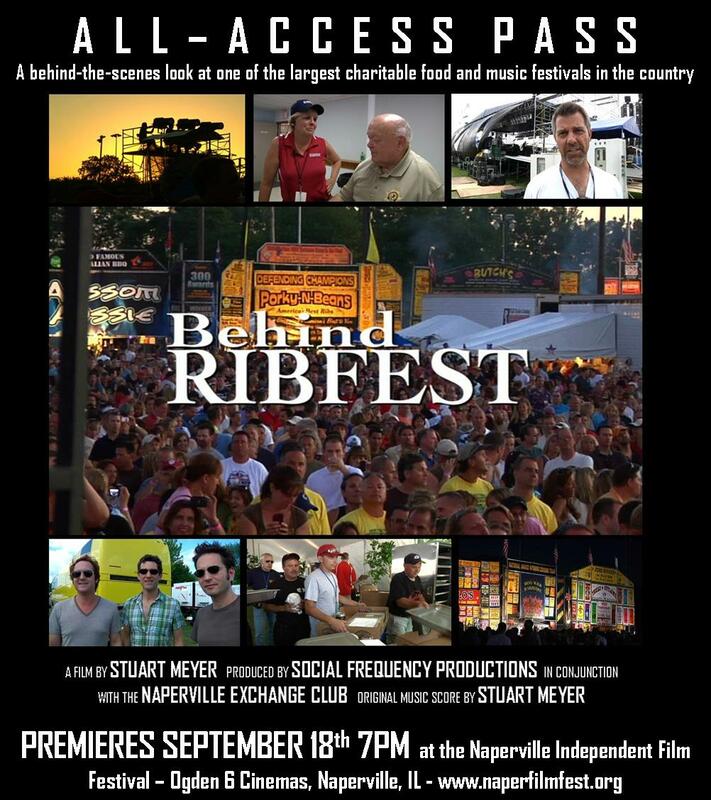 The biggest Naperville-related project I’m working on has been my documentary film about Ribfest. Believe it or not, we actually just concluded the last piece of principal photography at the Exchange Club’s agency luncheon just last week at Meson Sabika. That’s the event where all the net proceeds have been awarded and each agency shares their mission and stories. It’s been an amazing journey and I’m excited to continue the editing process. In the end, we will see a time period between June, 2011 and March 2011. We’ll have more information about when the film will premiere soon. In the meantime, I want to personally thank Ray Kinney and the rest of the amazing people at the Naperville Exchange Club for their support and cooperation throughout this project. It’s definitely a collage of many behind-the-scenes sides of Ribfest that few get to see… with plenty of stories that deserve to be told about the incredible mission behind Ribfest.